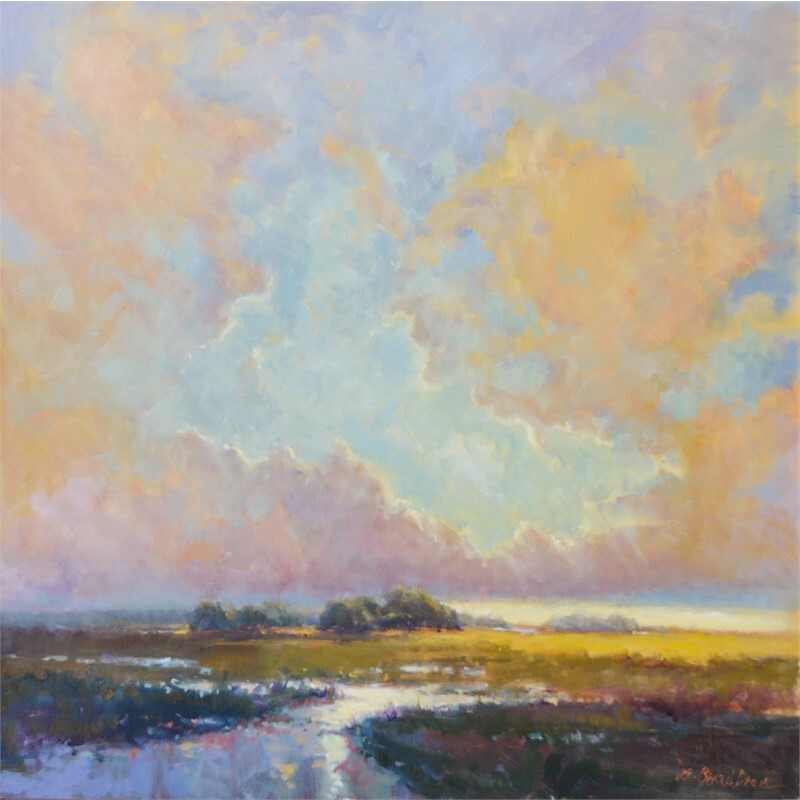 Dee Beard Dean is a nationally-recognized artist who has been painting since childhood. 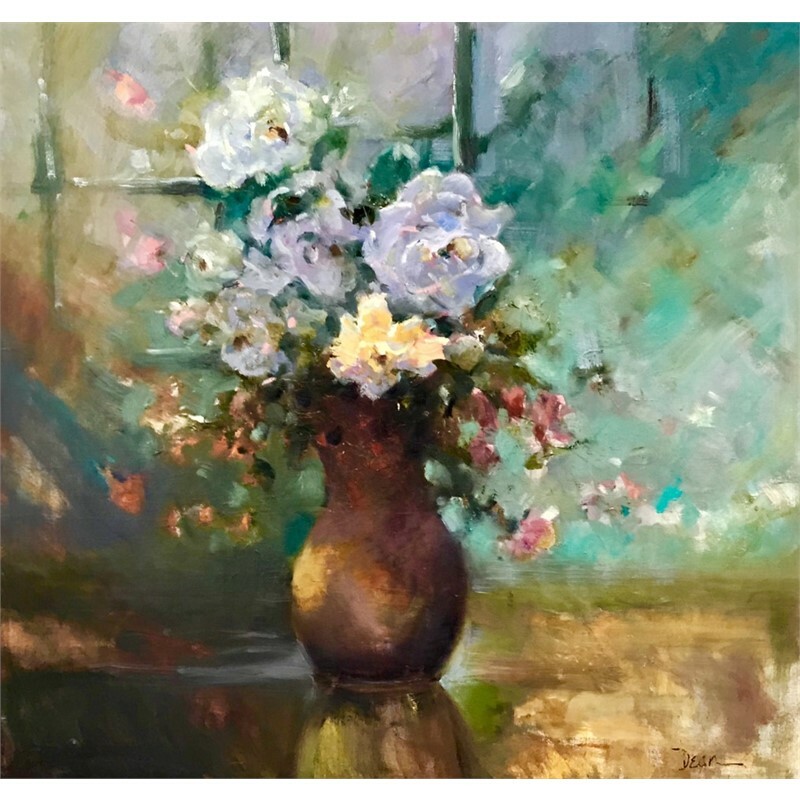 She was raised in the countryside of northern Indiana and began her formal studies at Kendall College of Art and Design, and the New York Academy of Art. 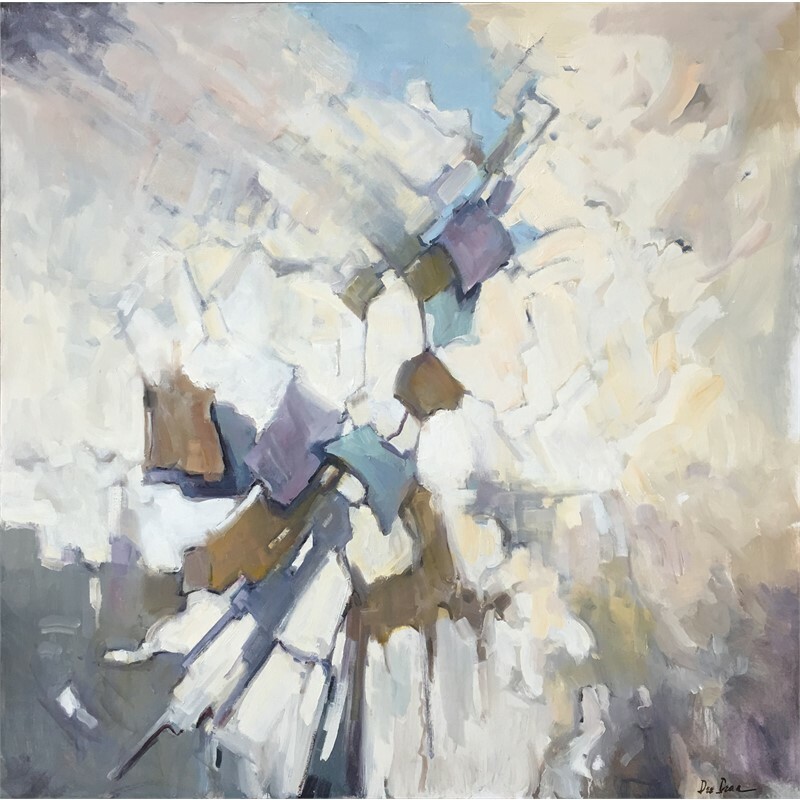 In her early years, Dee was a well-known fashion designer manufacturing her own clothing line which sold to over 450 stores throughout the US. 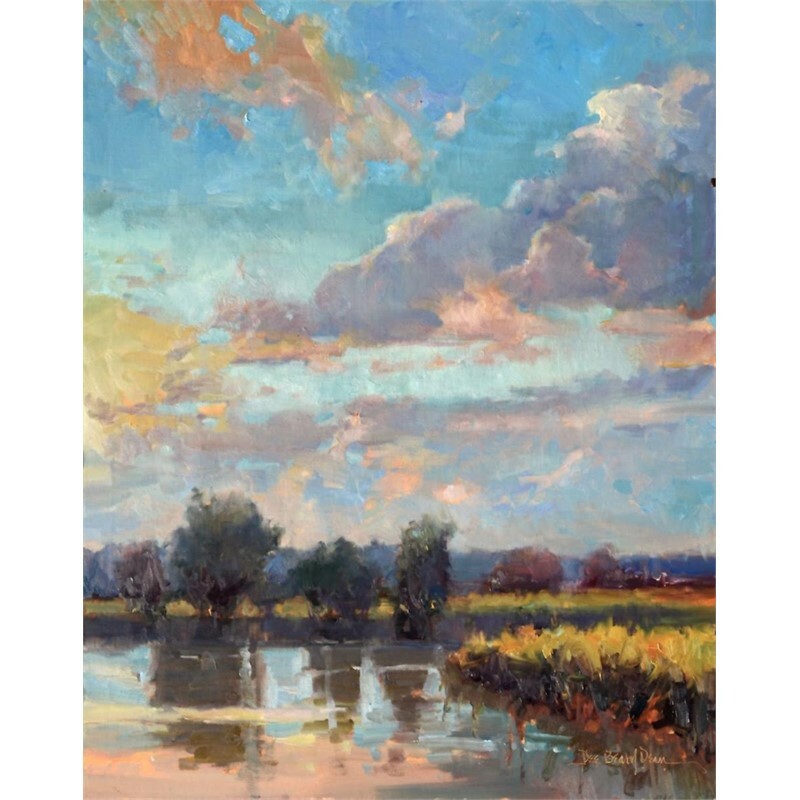 She later escaped the hectic lifestyle of the fashion world and went back to her first love, painting. 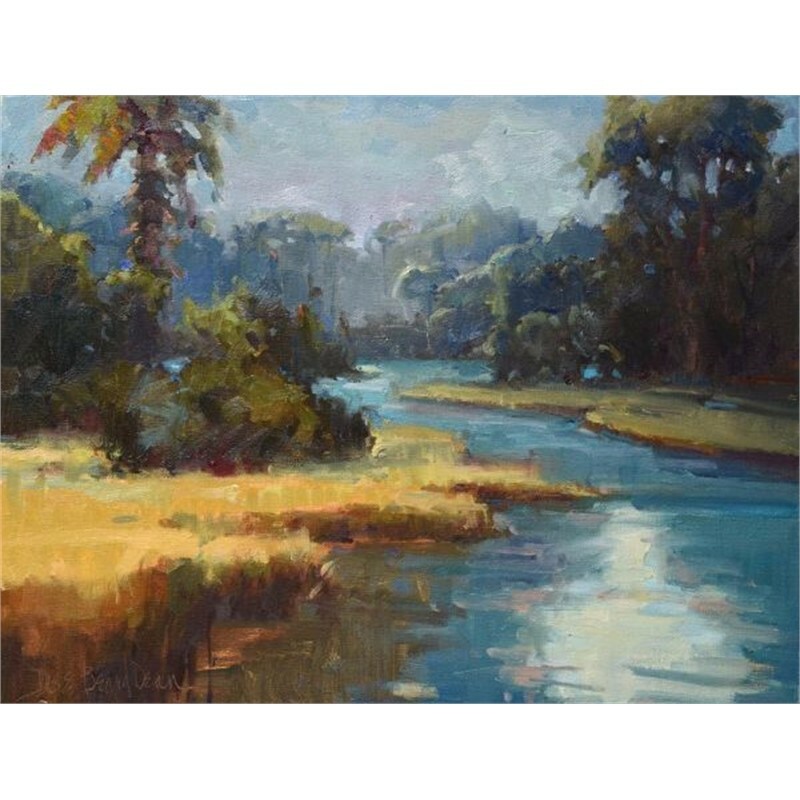 Her greatest inspirations have come from painting en plein air where her elevated senses guide her in creating painterly landscapes filled with evocative light and dramatic shadows. 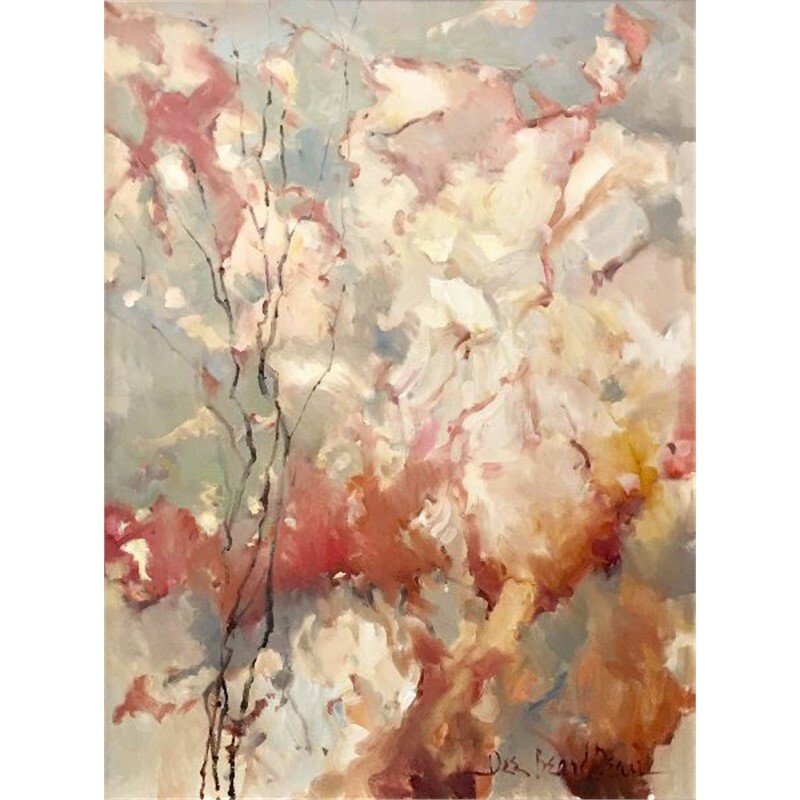 Her highly collectible work hangs in corporate and private collections throughout the United States. 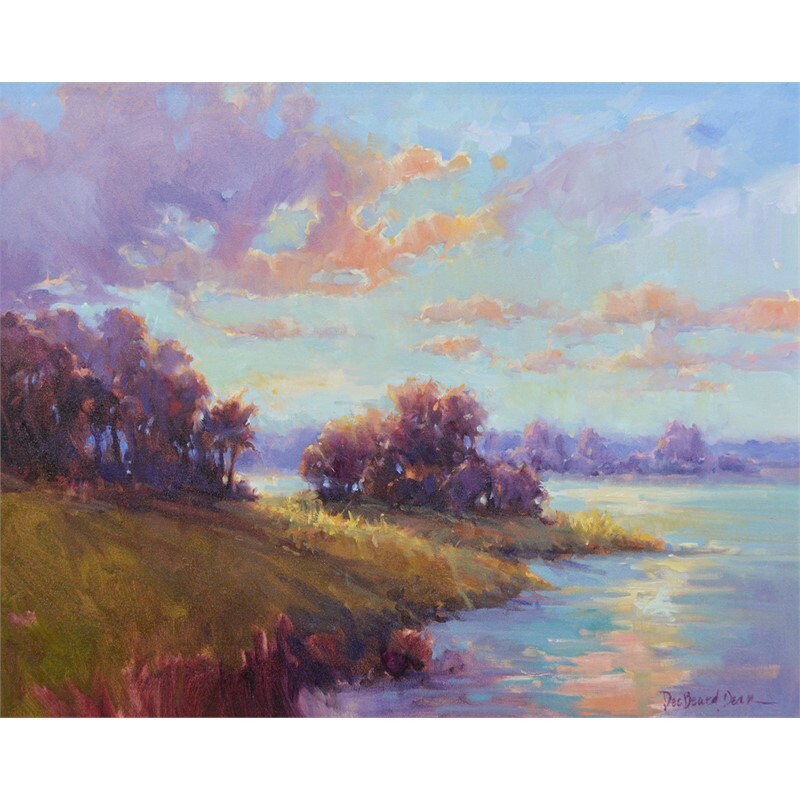 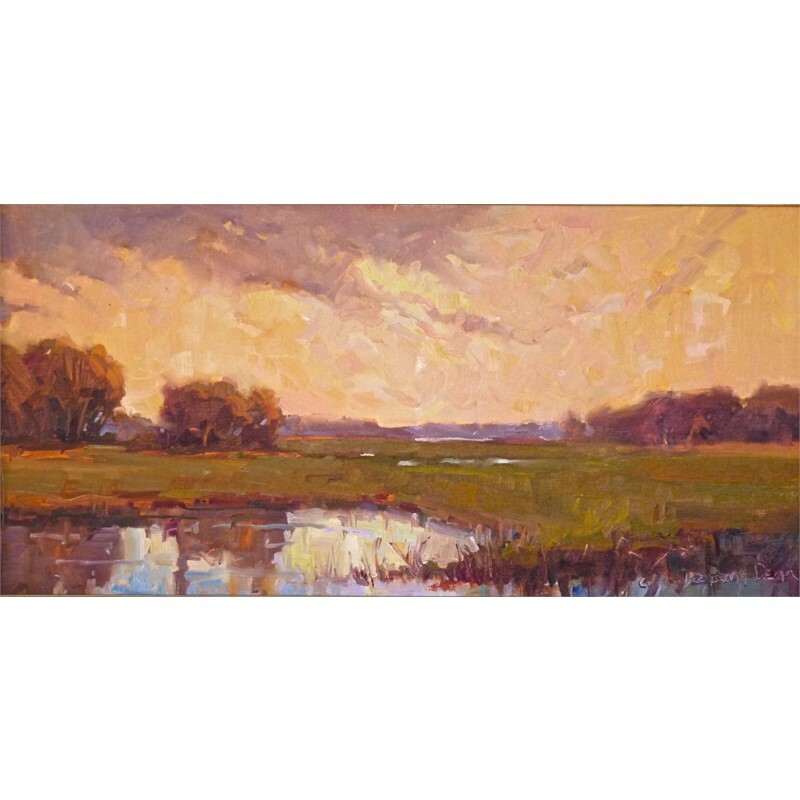 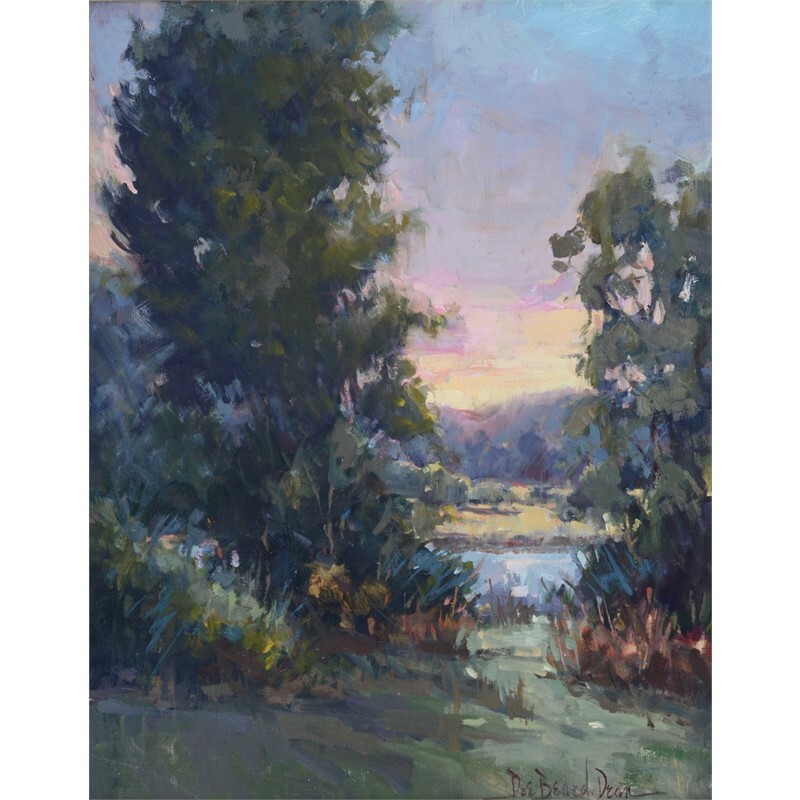 Dee is a Signature Member of the American Impressionist Society, an Honorary Signature Member of International Plein Air Painters (IPAP), a member of Oil Painters of America and American Women Artists. 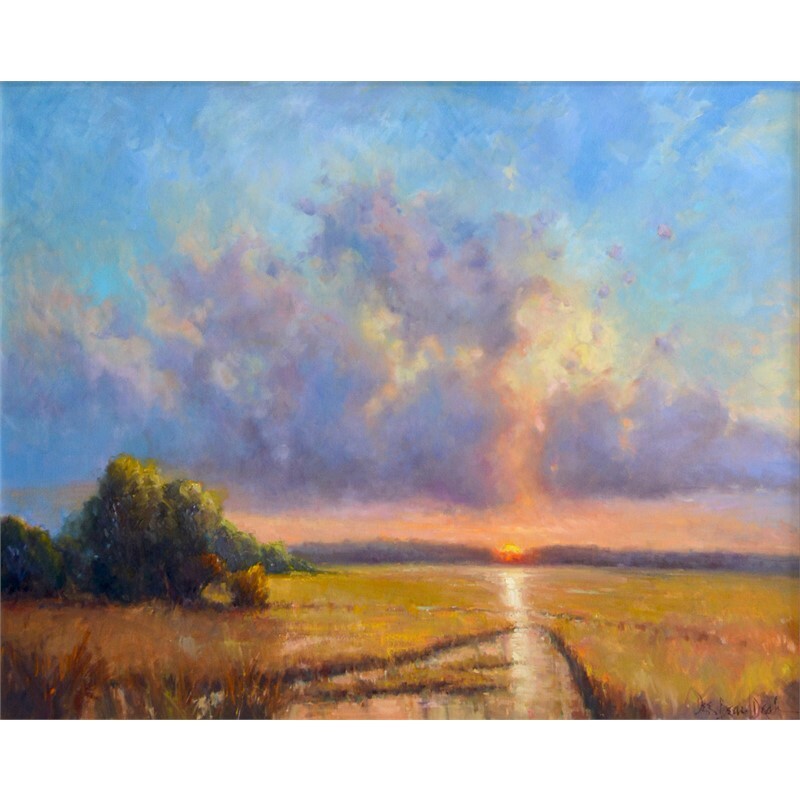 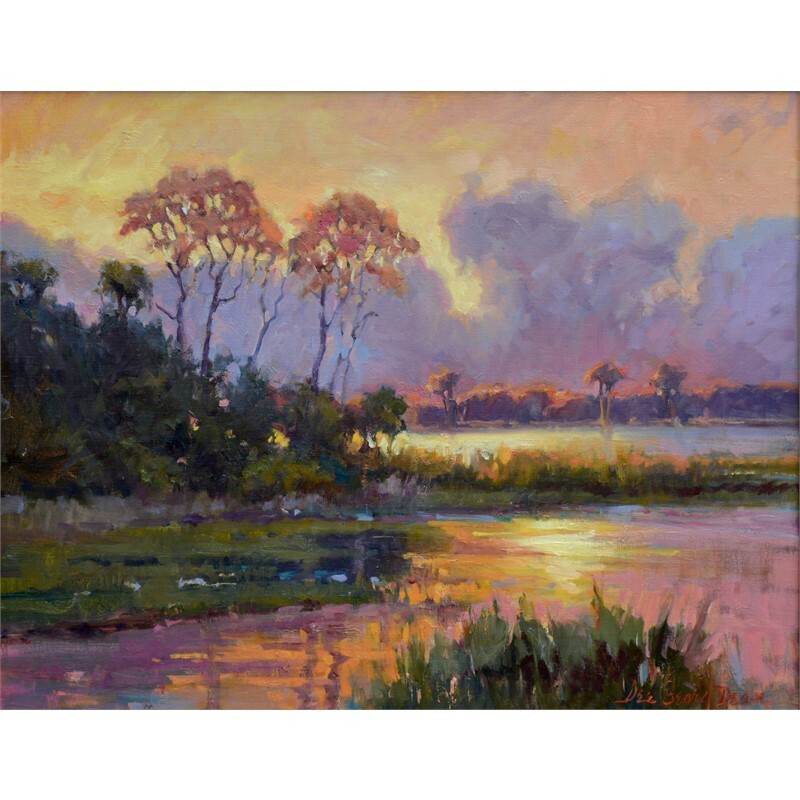 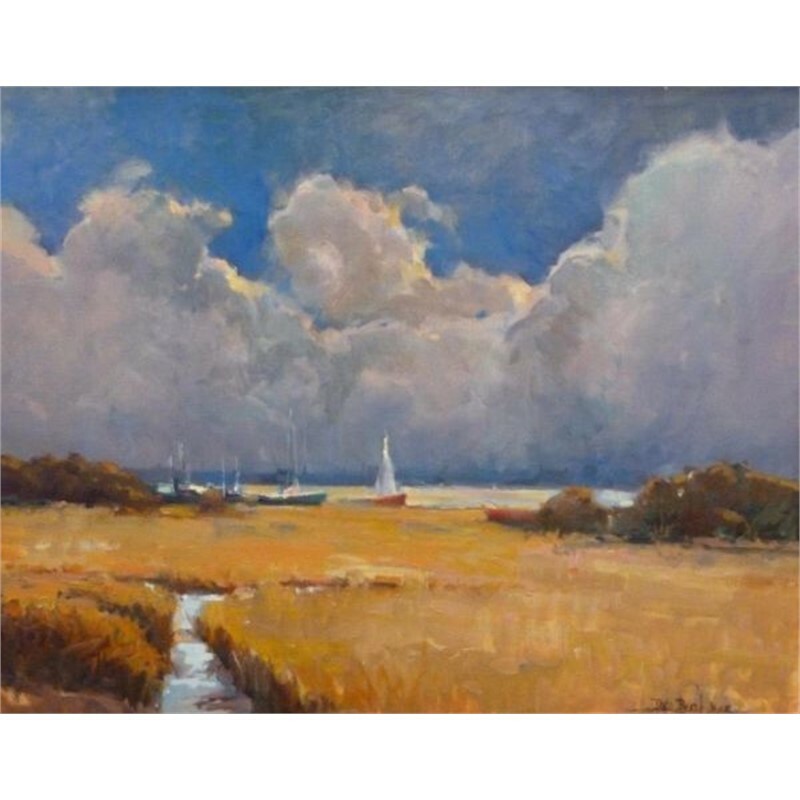 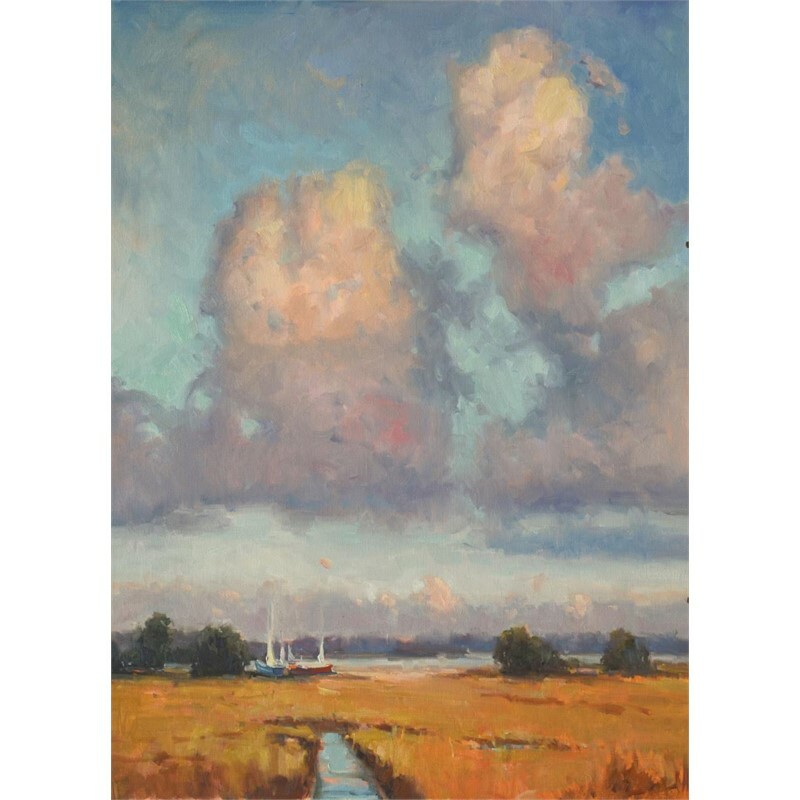 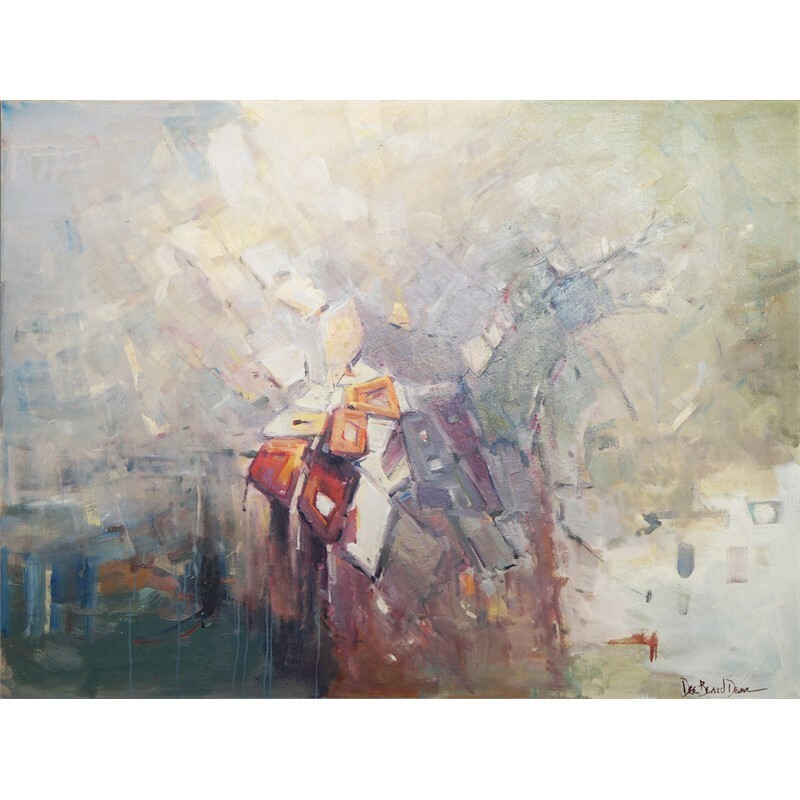 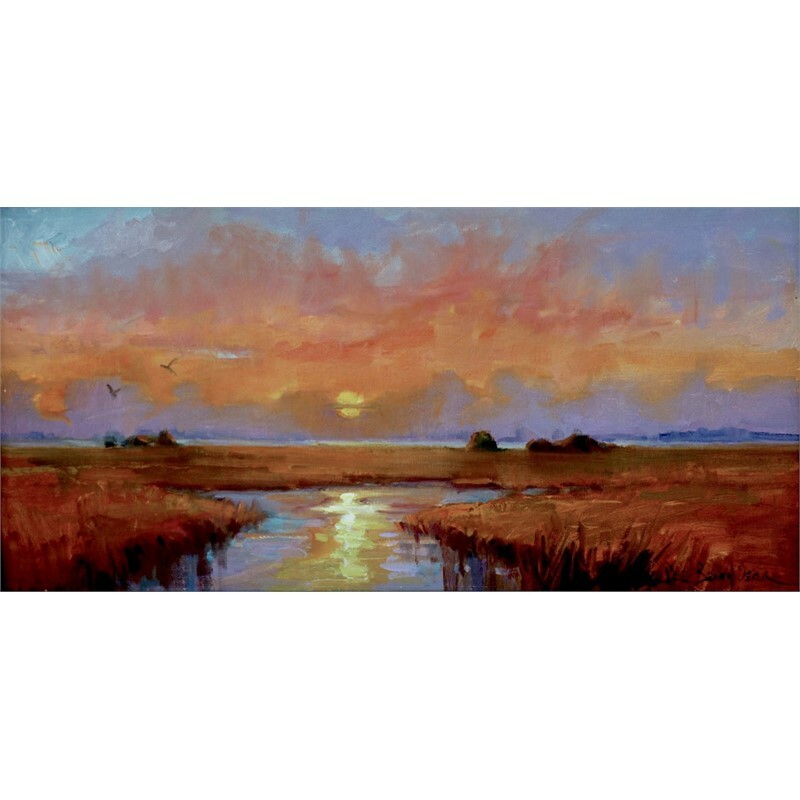 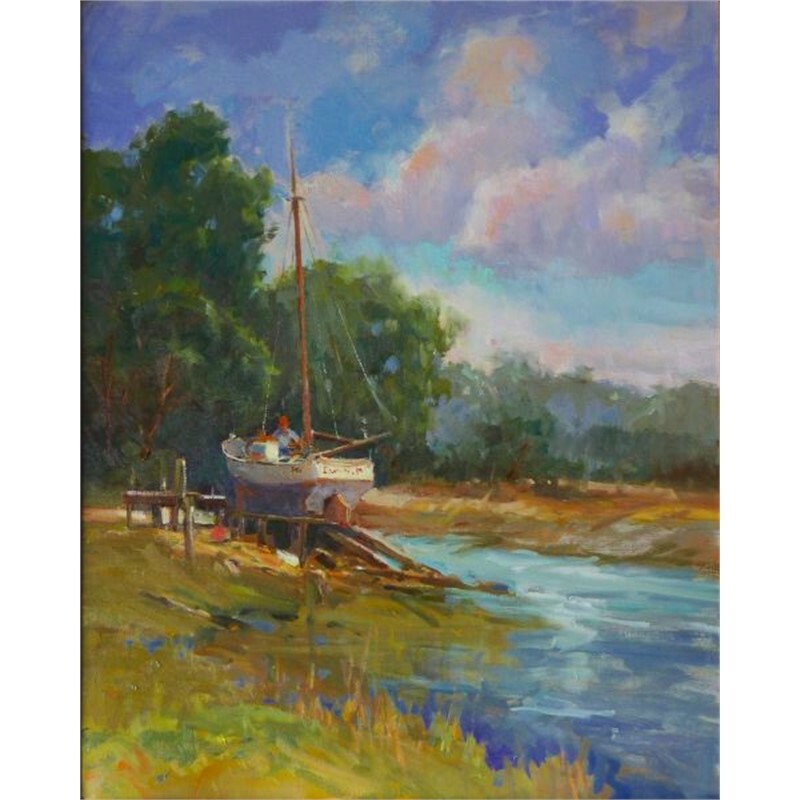 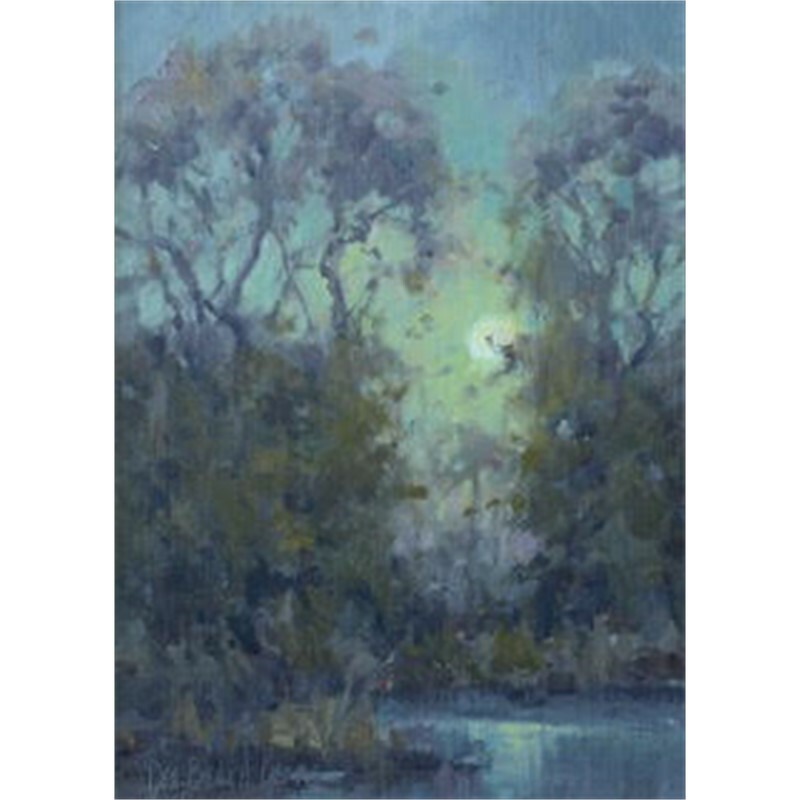 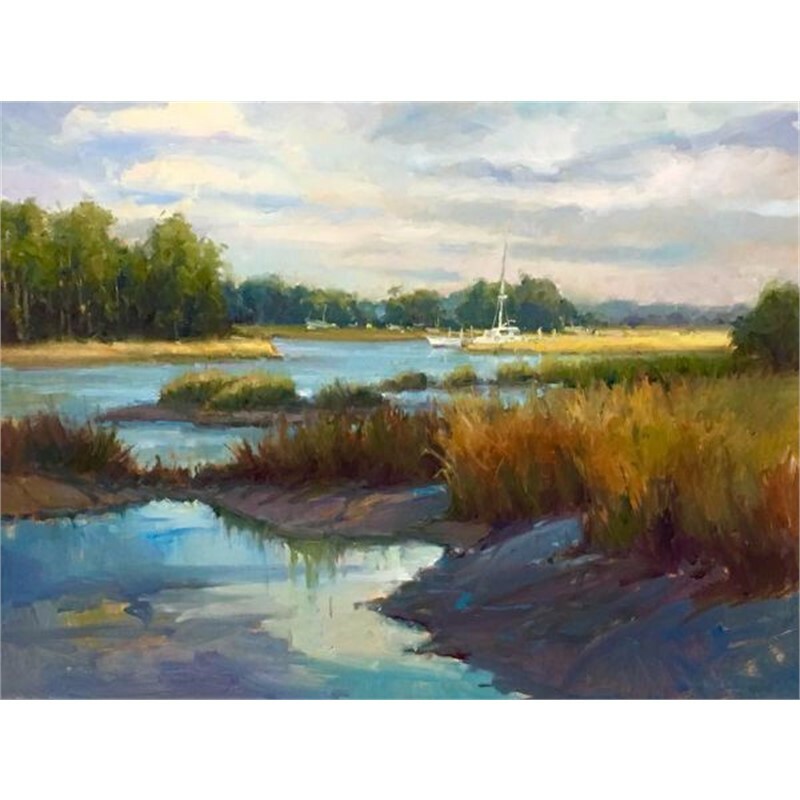 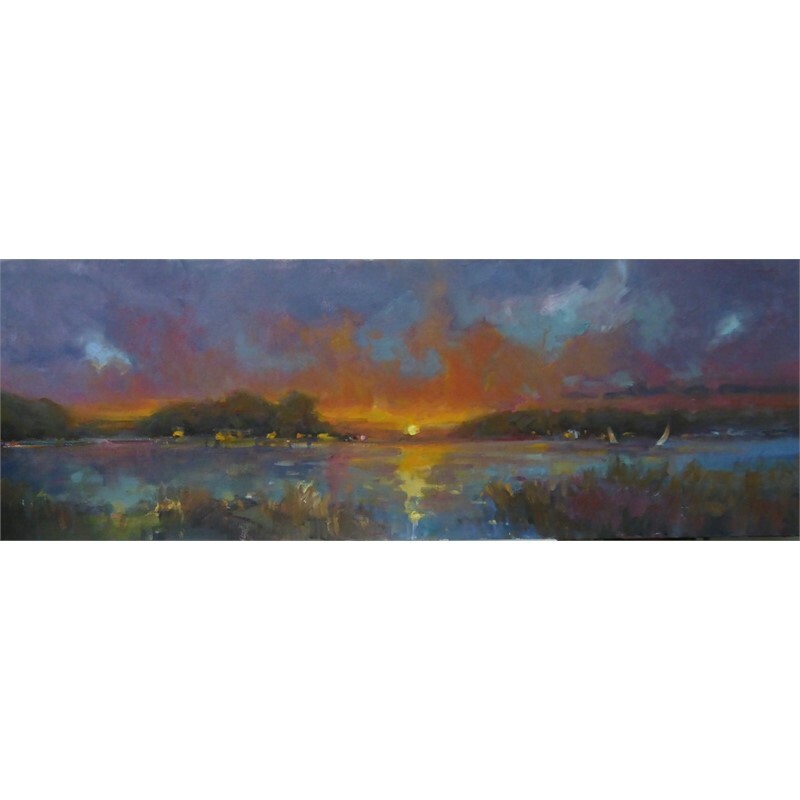 Dee is also known in the art world as an early pioneer in the plein air movement she is the founder of Plein Air Painters of the Southeast (PAP-SE). 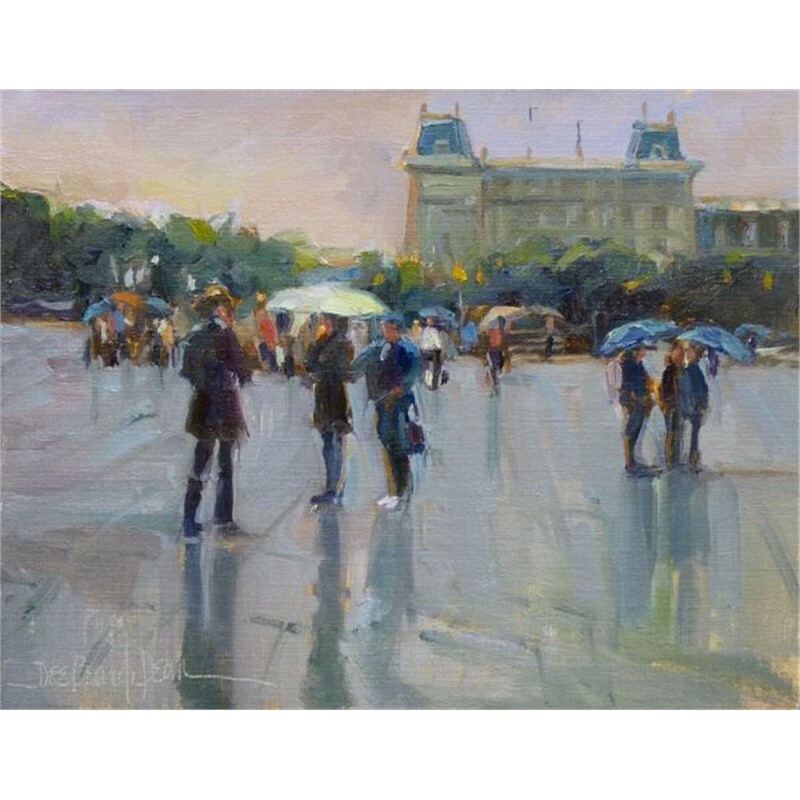 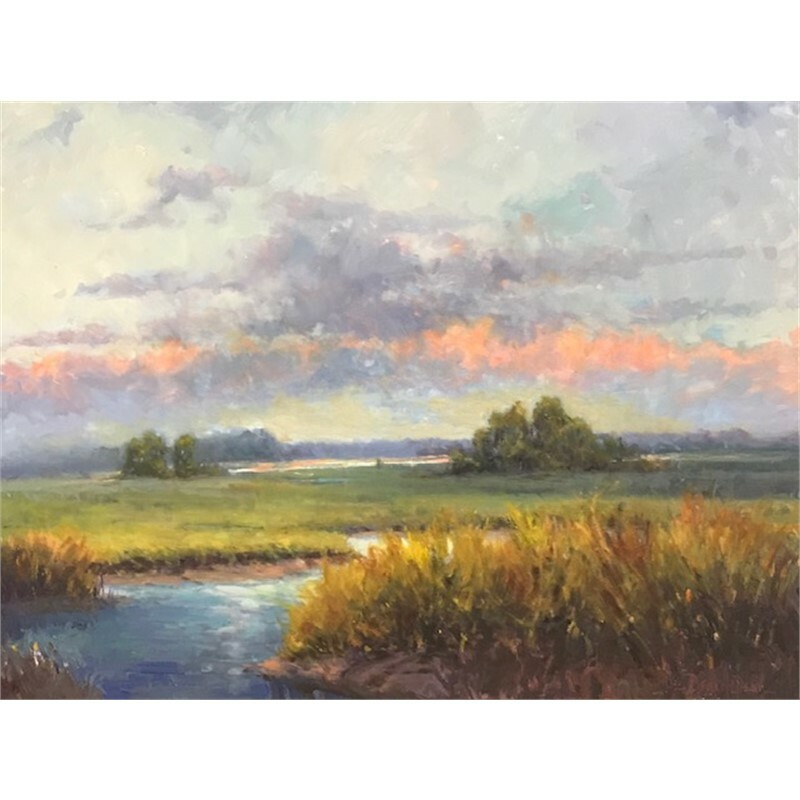 She finds it both a joy and a privilege to share her knowledge and talent with artists through plein air and studio workshops across the United States and abroad. 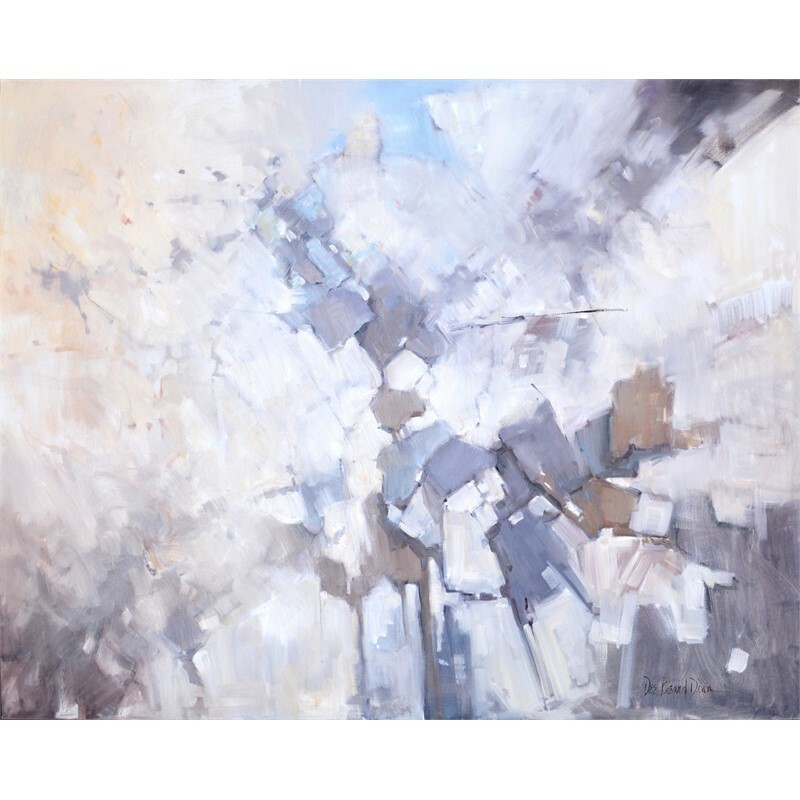 Dee and her husband Nicolai, host annual International Art Trips, recently to Portugal and Provence. 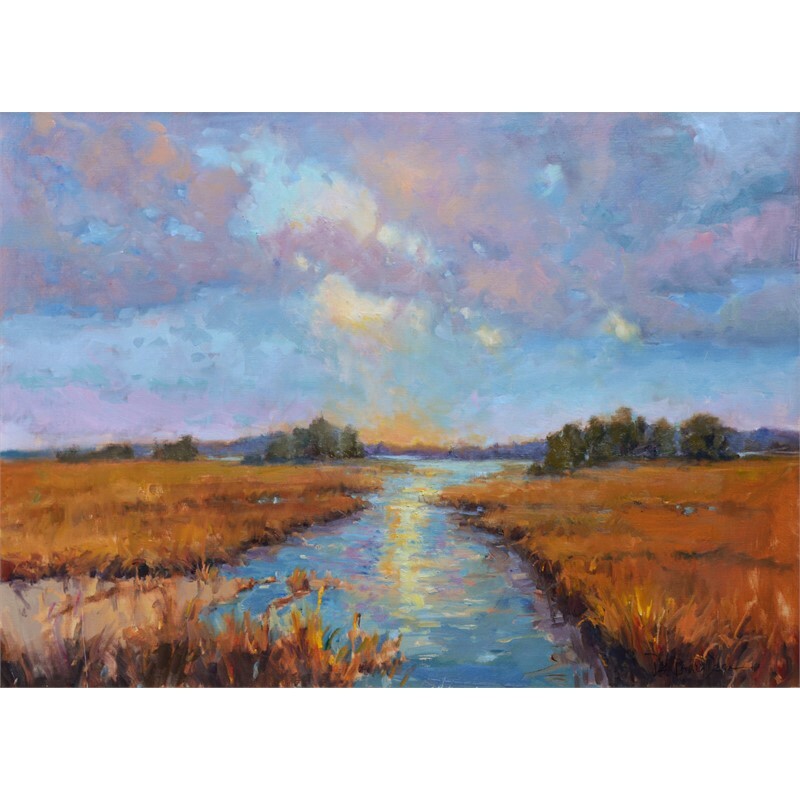 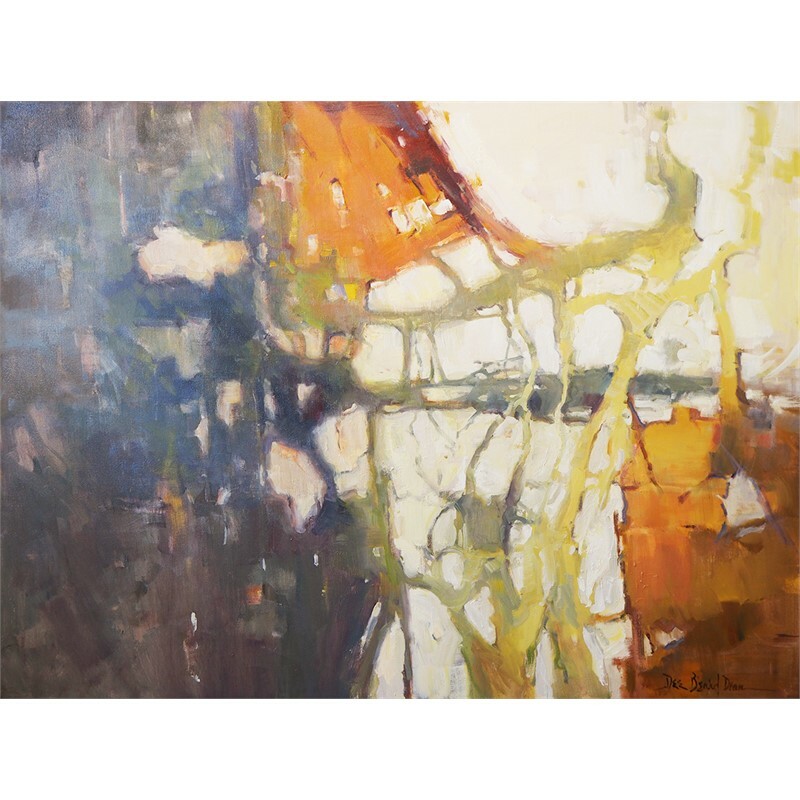 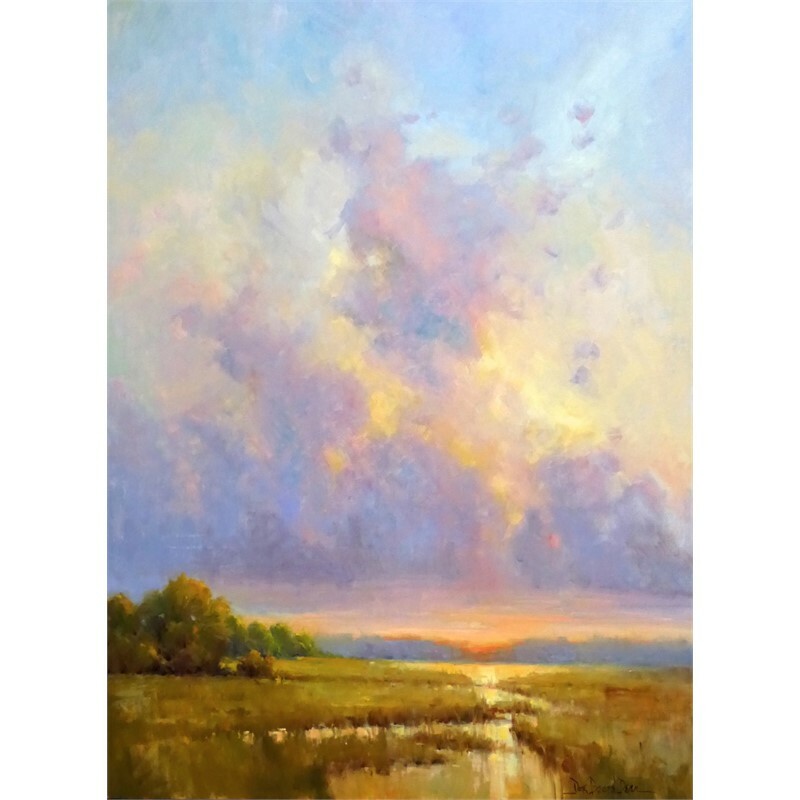 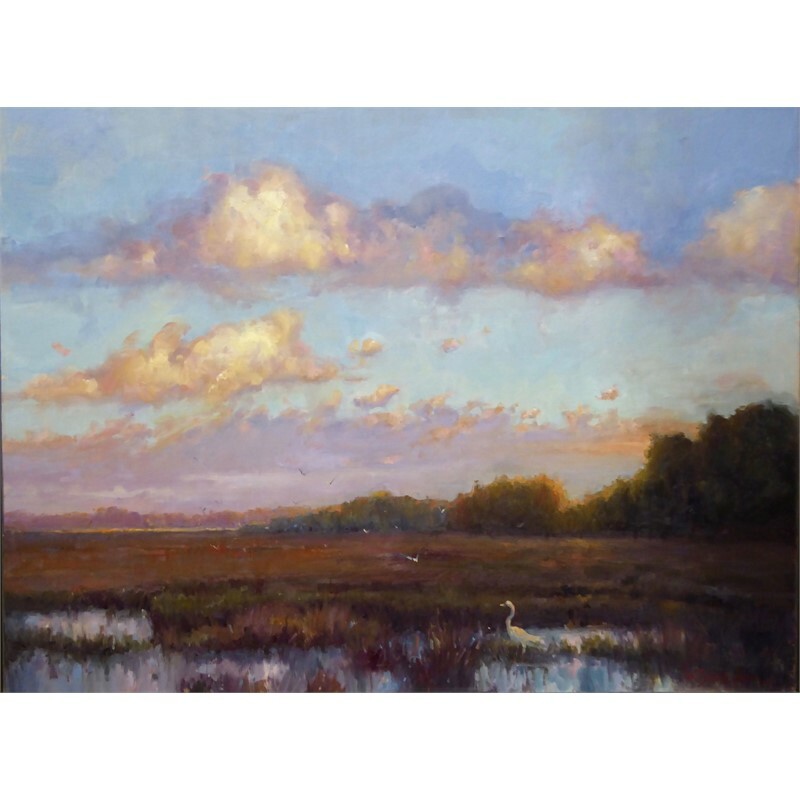 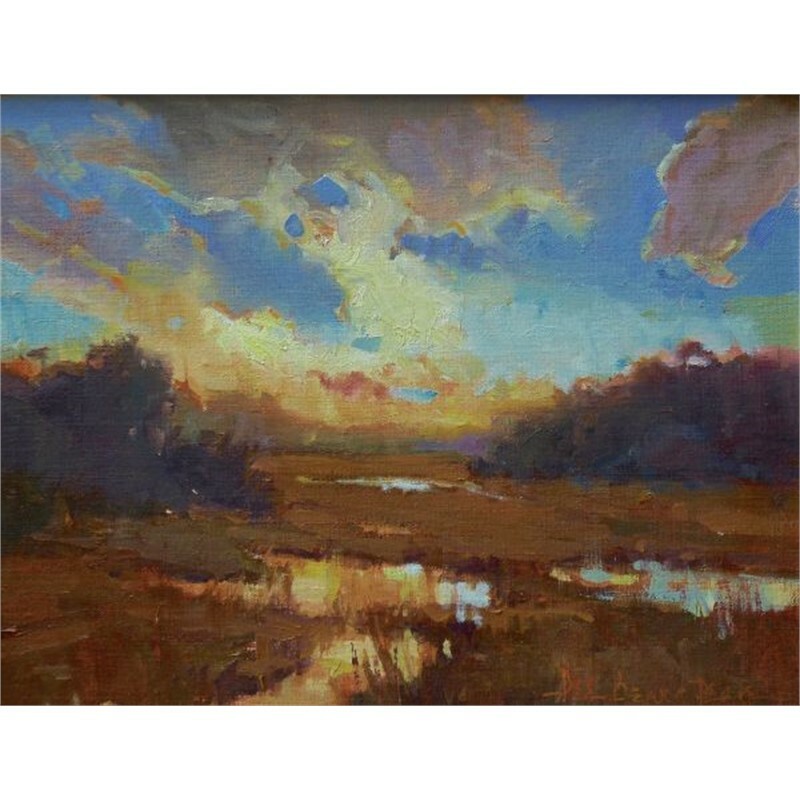 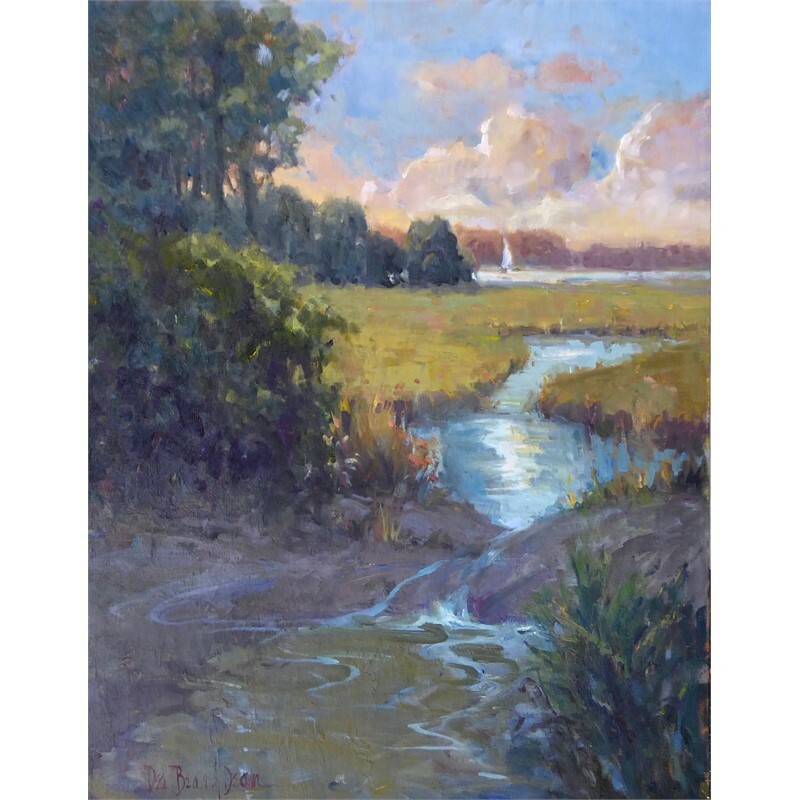 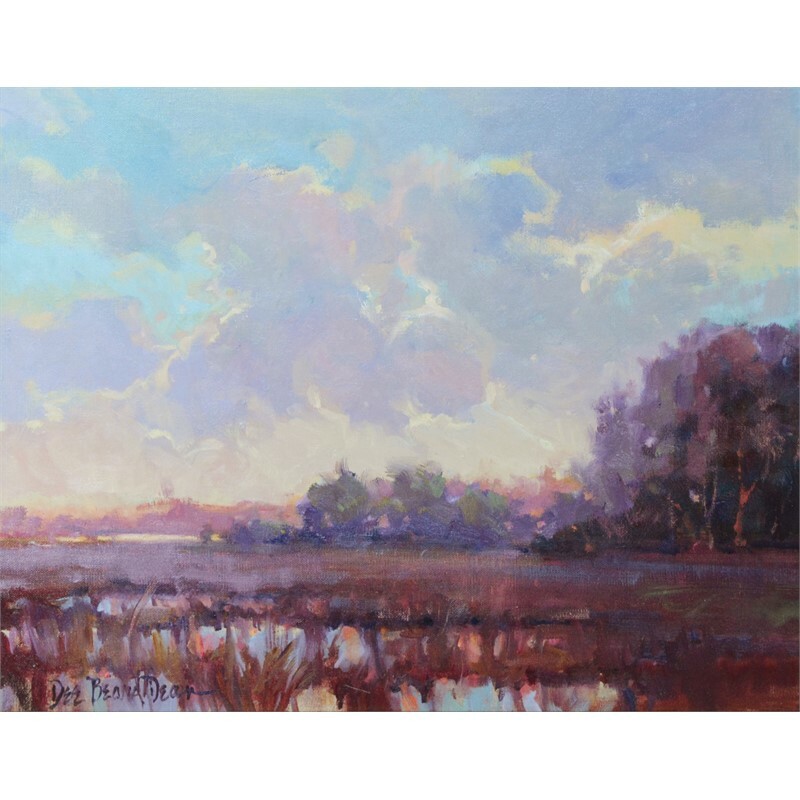 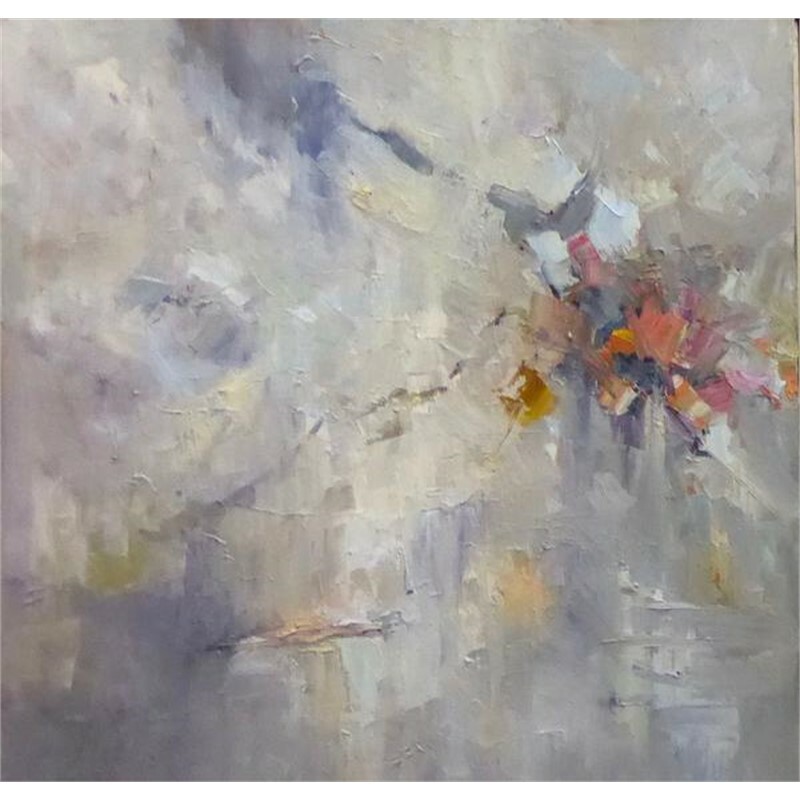 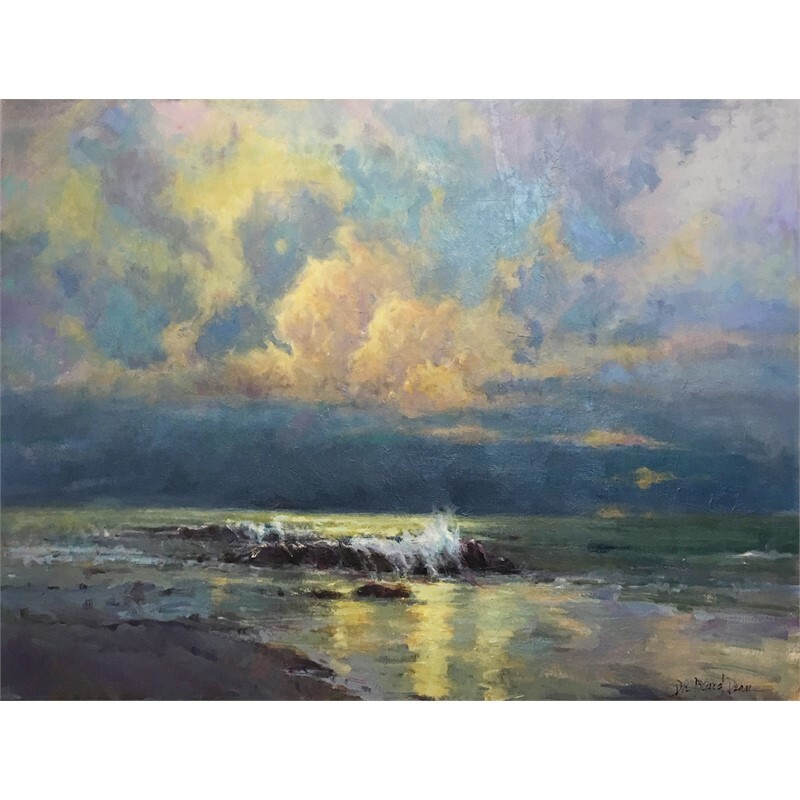 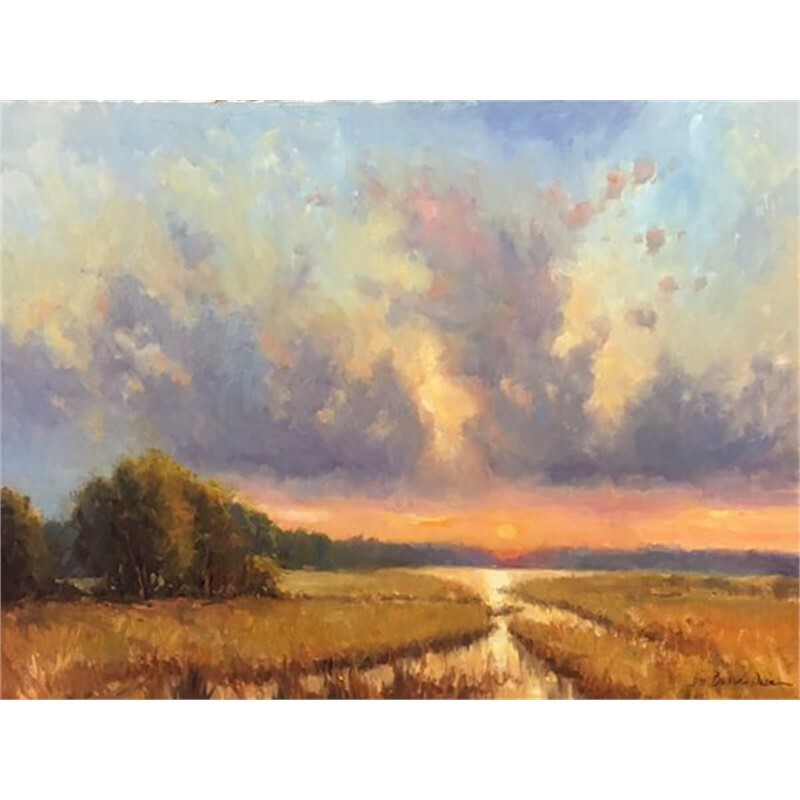 Dee has received awards at many juried art competitions including the Easton and Carmel Plein Air Invitationals, and she has been published in many regional and national journals. 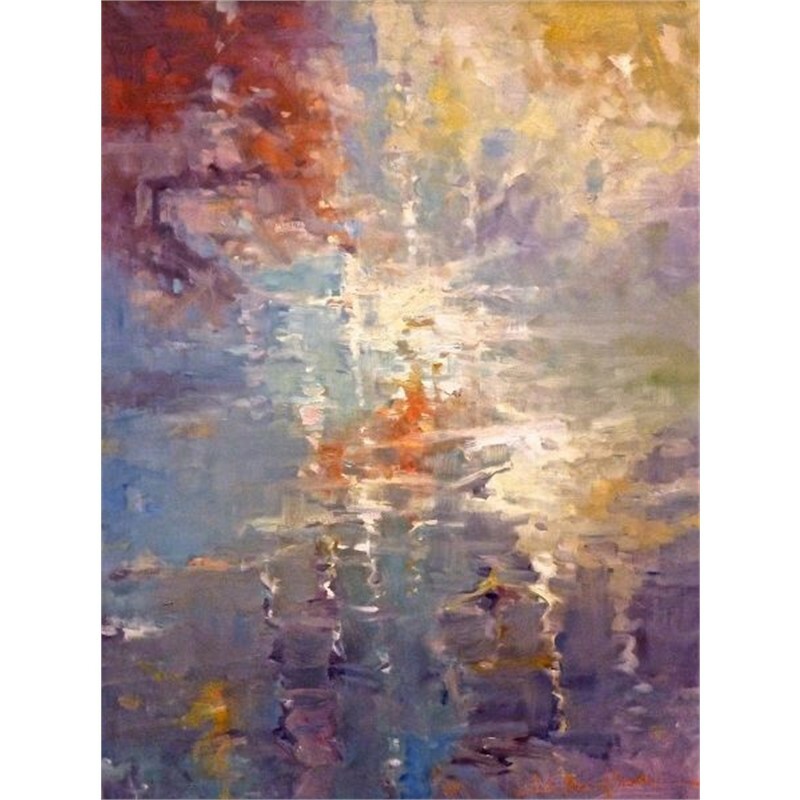 She resides in Charleston, South Carolina with her husband, Dr. Nicolai Chalfa. 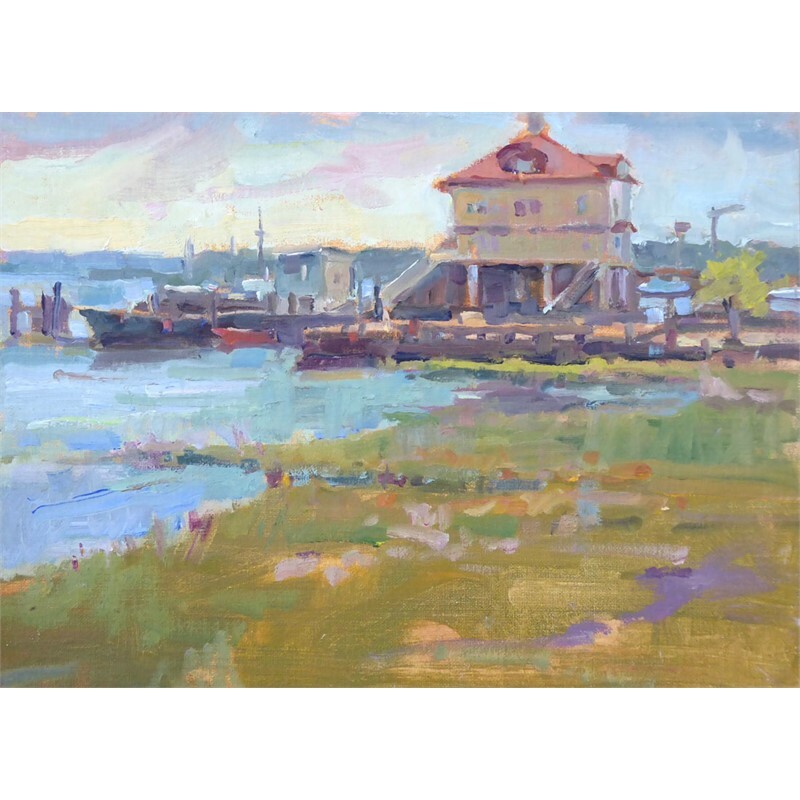 Her life and her work are recorded in her book “Painter By Providence” written by Michelle Morton. 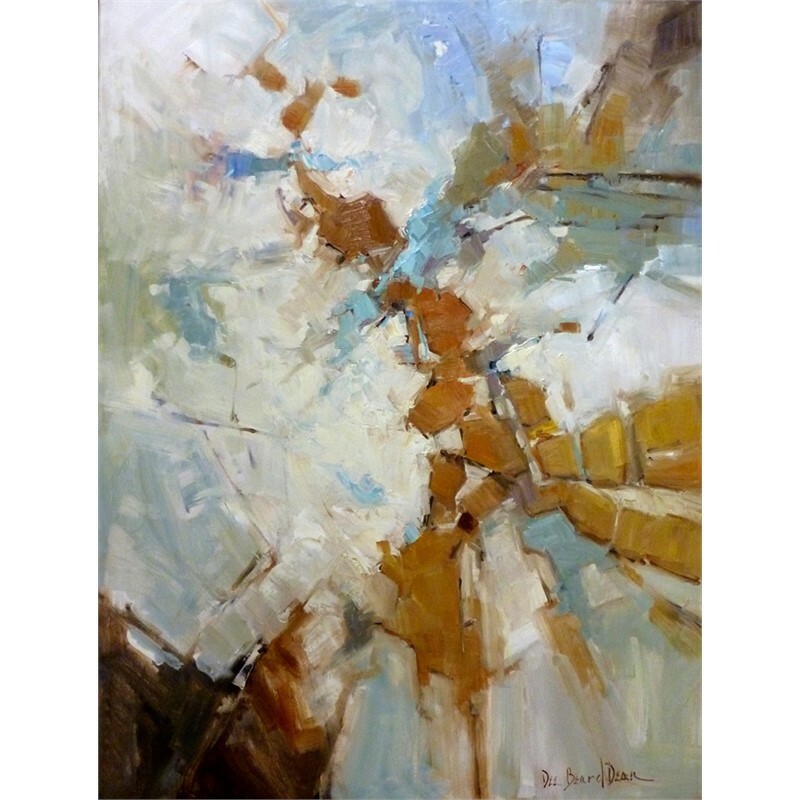 Dee Beard Dean is a nationally-recognized artist who has been painting since childhood. 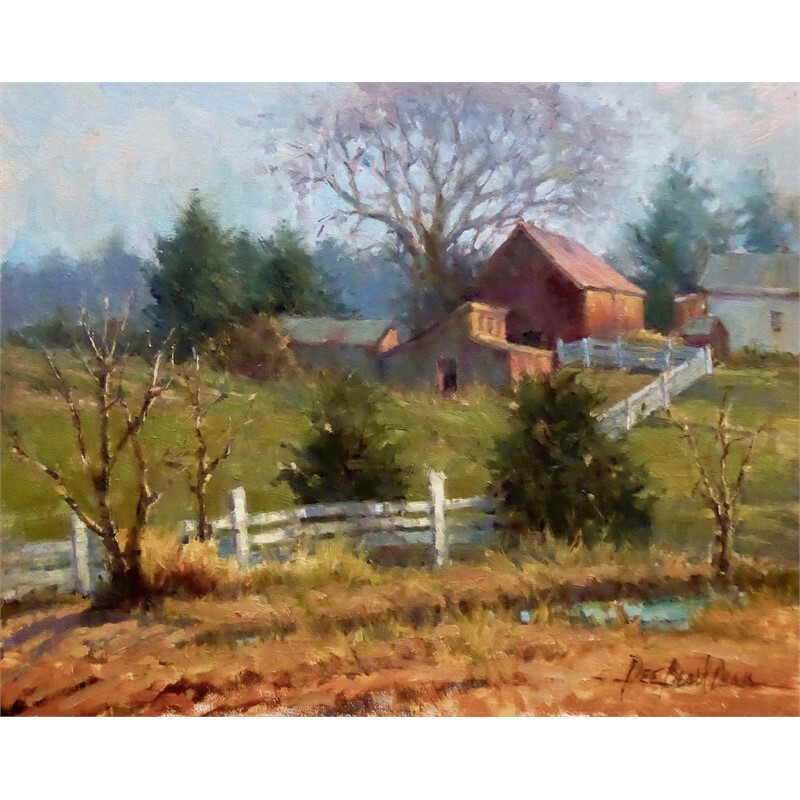 She was raised in the countryside of northern Indiana and began her formal studies at Kendall College of Art and Design, and the New York Academy of Art. 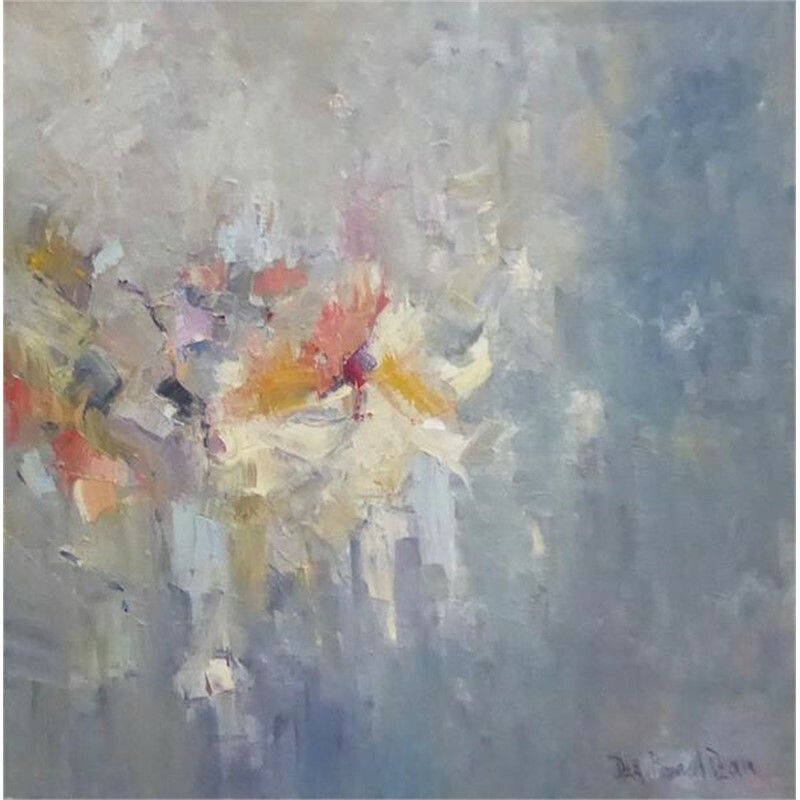 In her early years, Dee was a well-known fashion designer manufacturing her own clothing line which sold to over 450 stores throughout the US. 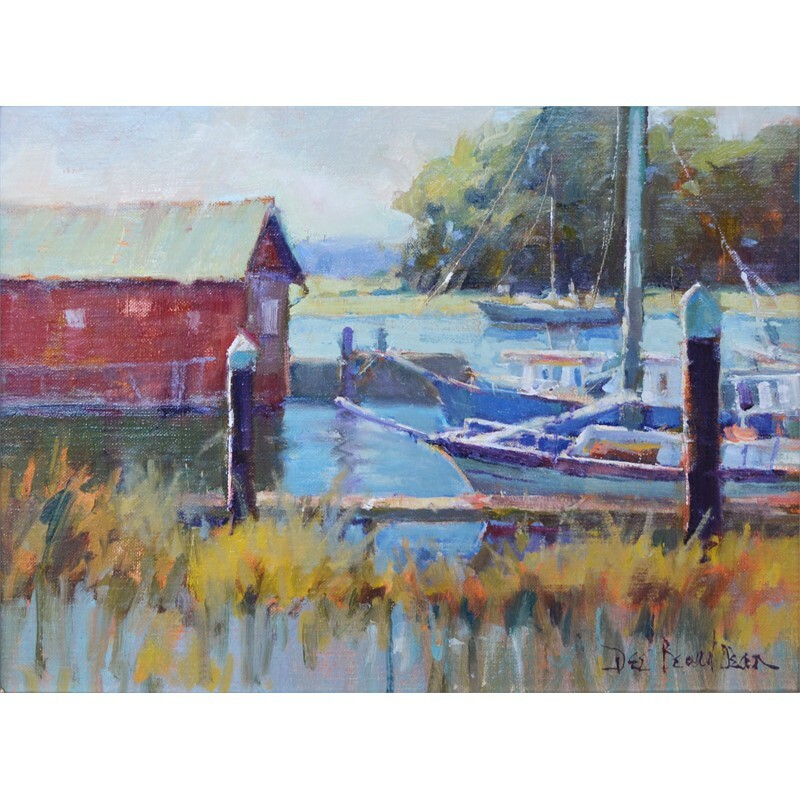 She later escaped the hectic lifestyle of the fashion world and went back to her first love, painting. 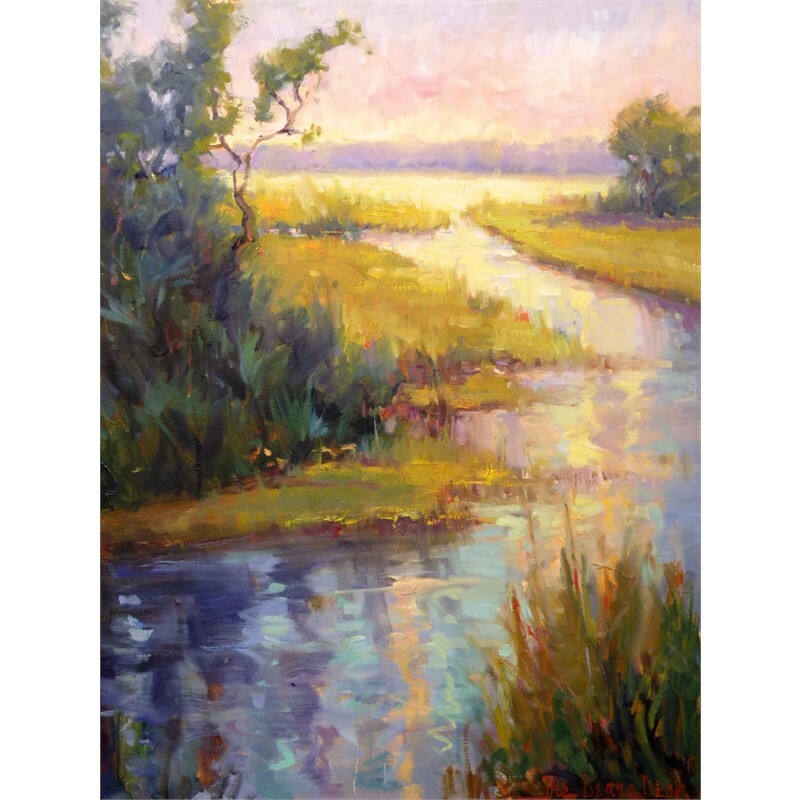 Her greatest inspirations have come from painting en plein air where her elevated senses guide her in creating painterly landscapes filled with evocative light and dramatic shadows. 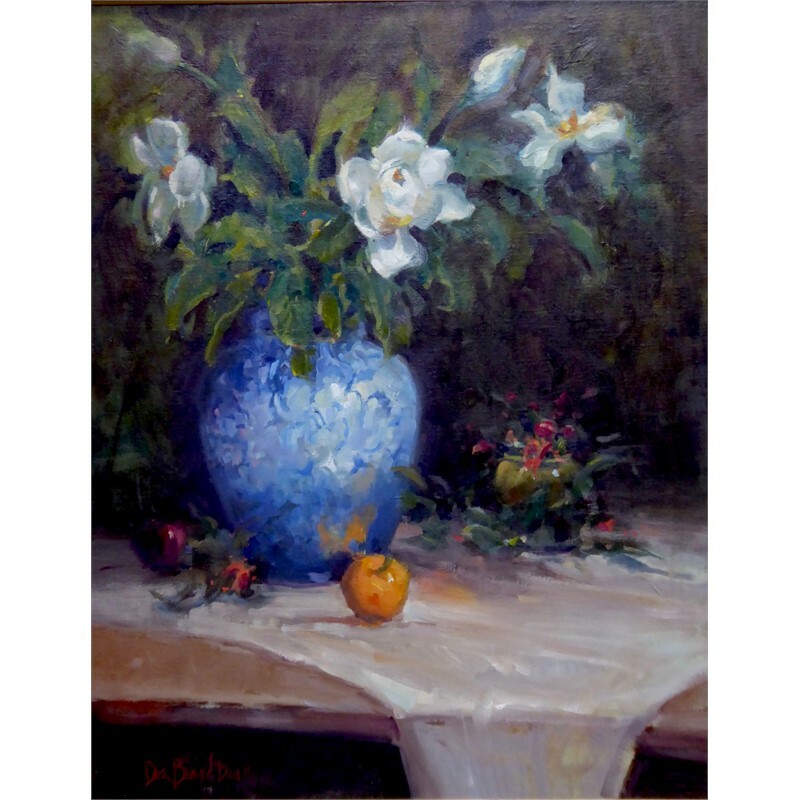 Her highly collectible work hangs in corporate and private collections throughout the United States. 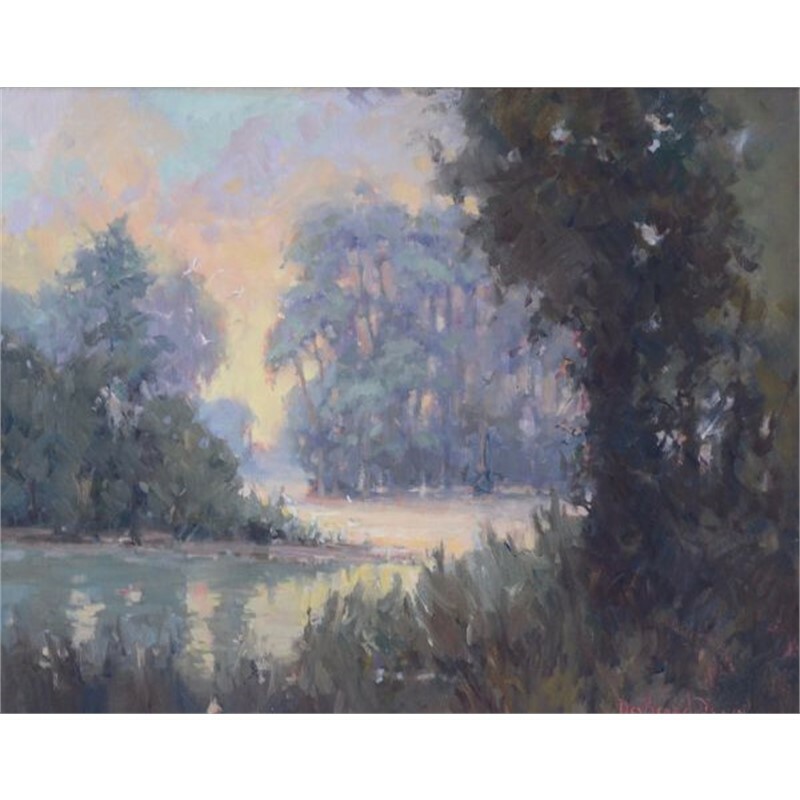 Dee is a Signature Member of the American Impressionist Society, an Honorary Signature Member of International Plein Air Painters (IPAP), a member of Oil Painters of America and American Women Artists. 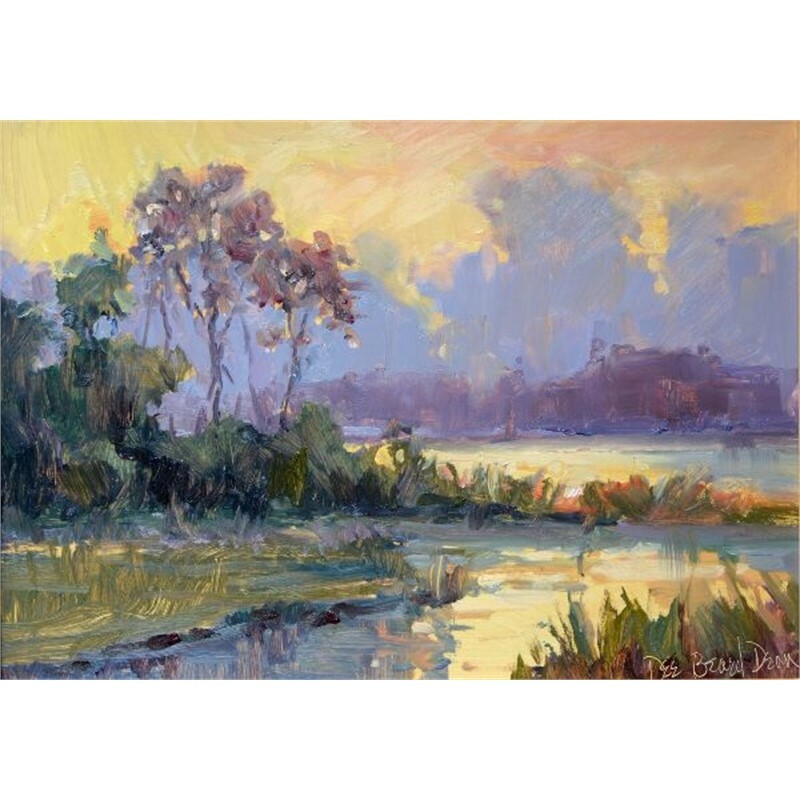 Dee is also known in the art world as an early pioneer in the plein air movement she is the founder of Plein Air Painters of the Southeast (PAP-SE). 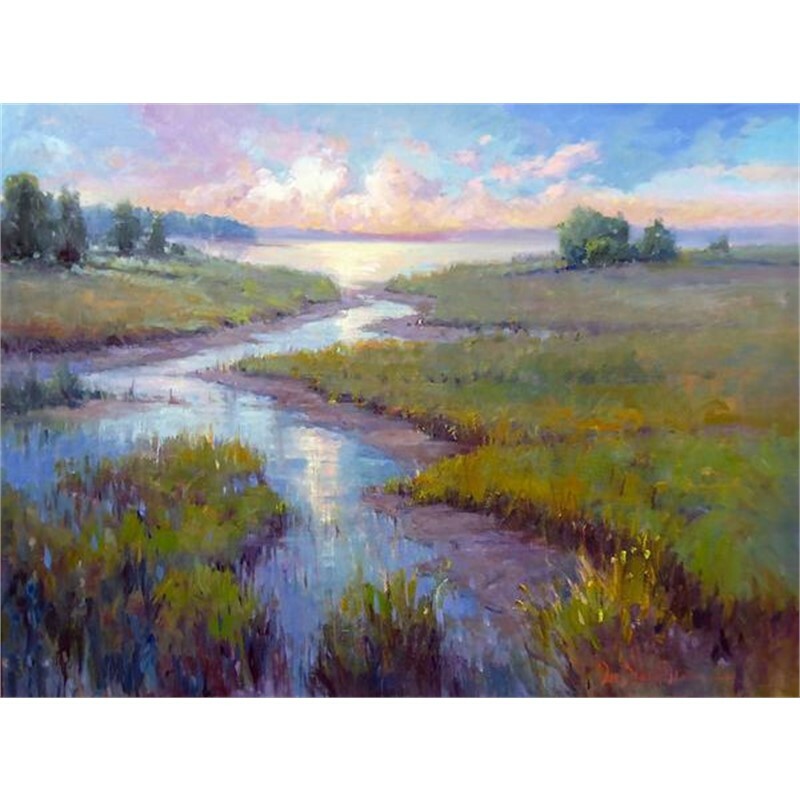 She finds it both a joy and a privilege to share her knowledge and talent with artists through plein air and studio workshops across the United States and abroad. 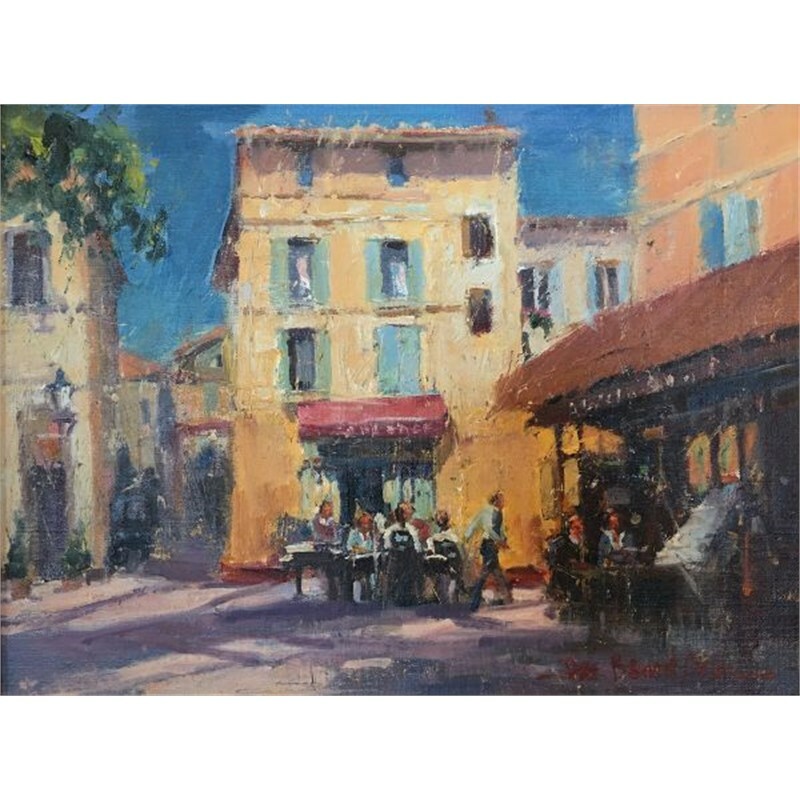 Dee and her husband Nicolai, host annual International Art Trips, recently to Portugal and Provence. 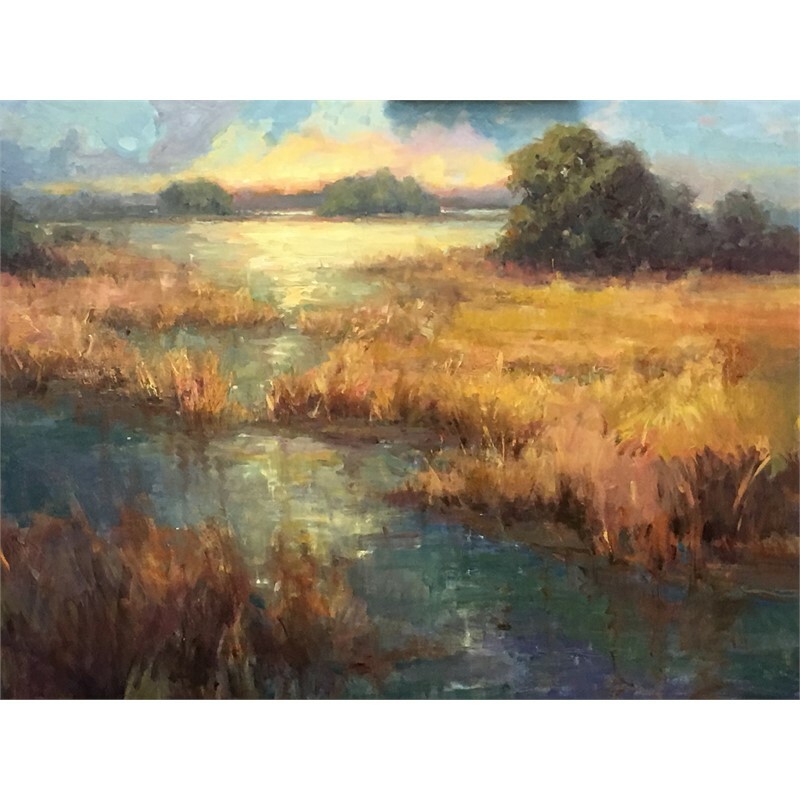 Dee has received awards at many juried art competitions including the Easton and Carmel Plein Air Invitationals, and she has been published in many regional and national journals. 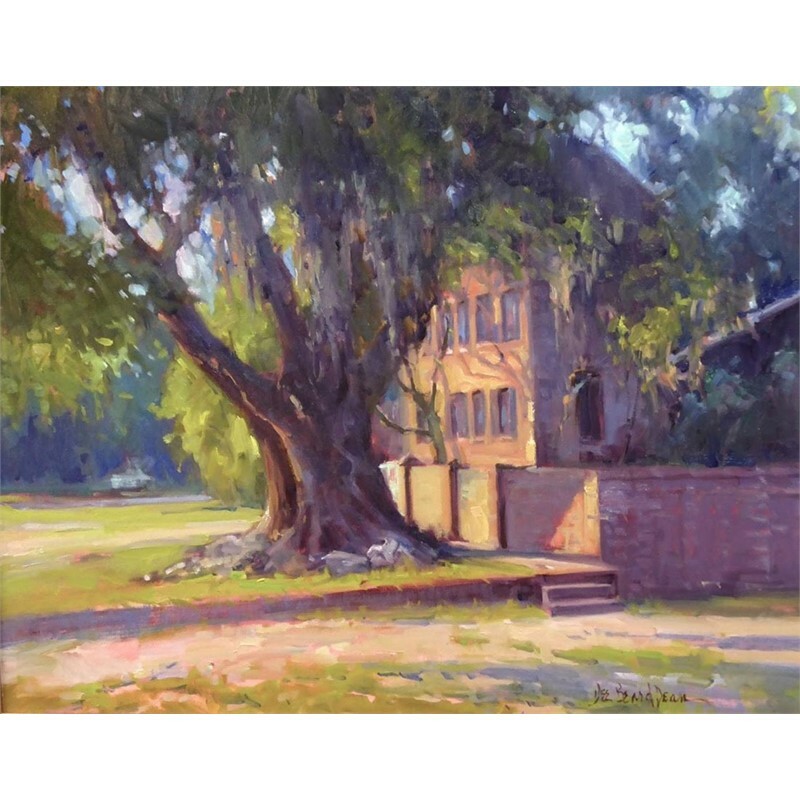 She resides in Charleston, South Carolina with her husband, Dr. Nicolai Chalfa. 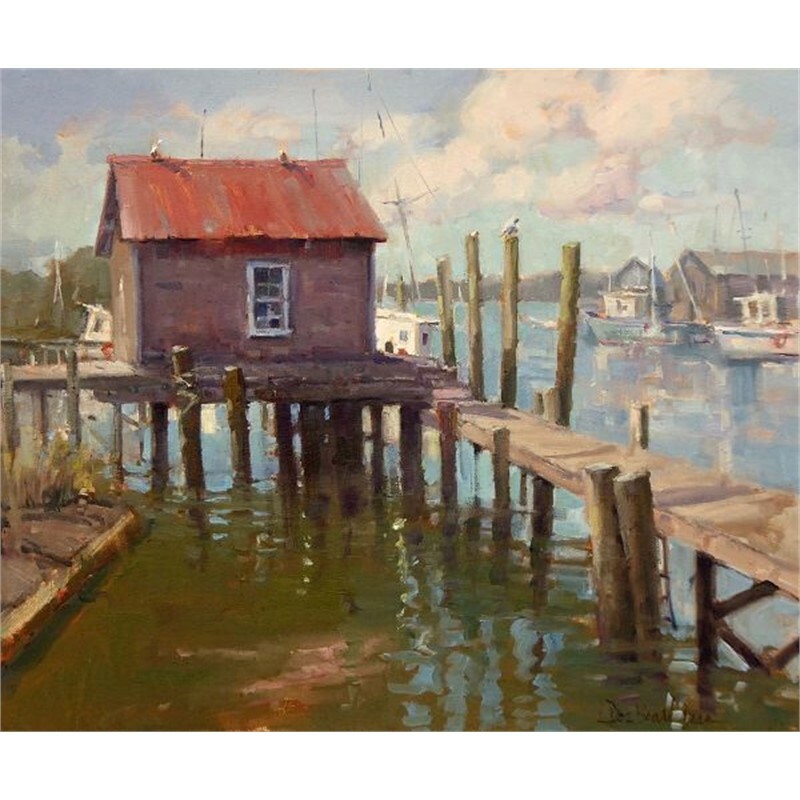 Her life and her work are recorded in her book “Painter By Providence” written by Michelle Morton.